The day that I got to marry Dillon Perillo was one of the best days of my life. We'd rushed into the planning of the wedding and gave ourselves three weeks to pull it together, so when I reached out to my friends across the globe to see if they could come, I didn't expect to be greeted with much enthusiasm. How wrong was I. Several of my friends and family jumped onto airplanes from New Zealand, Ausrtalia, and Europe for what was to become the most epic weekend. I'd met him two years earlier, kind of through Facebook, kind of through a friend. And those two years had flown by and now I was writing my vows in a hotel room just minutes before I would walk down the aisle and become his wife in front of seventy odd people. Admittedly, the idea of standing in front of many people I barely knew and a small group of friends (including a small gaggle of my best friends that had flown out for the occasion) began to overwhelm me in those last minutes. I wasn't planning on having bridesmaids but as my cousin Queree and oldest friend Chelsea prepared to leave the room I grabbed a bouquet of flowers out of a vase in the room, split it in two and told them they HAD to walk down the aisle in front of me. And of course they agreed, because that's what friends and family do when they see a loved one in panic. We took a few photos together and fortunately my photographer was also one of my dearest friends, Amber from Perspectives Photography and Cinema, who my parents had flown out to shoot the wedding. So Amber set about lightening the mood and soon enough I was calmed down and we were all laughing and reminiscing about the years that had brought me to this moment. 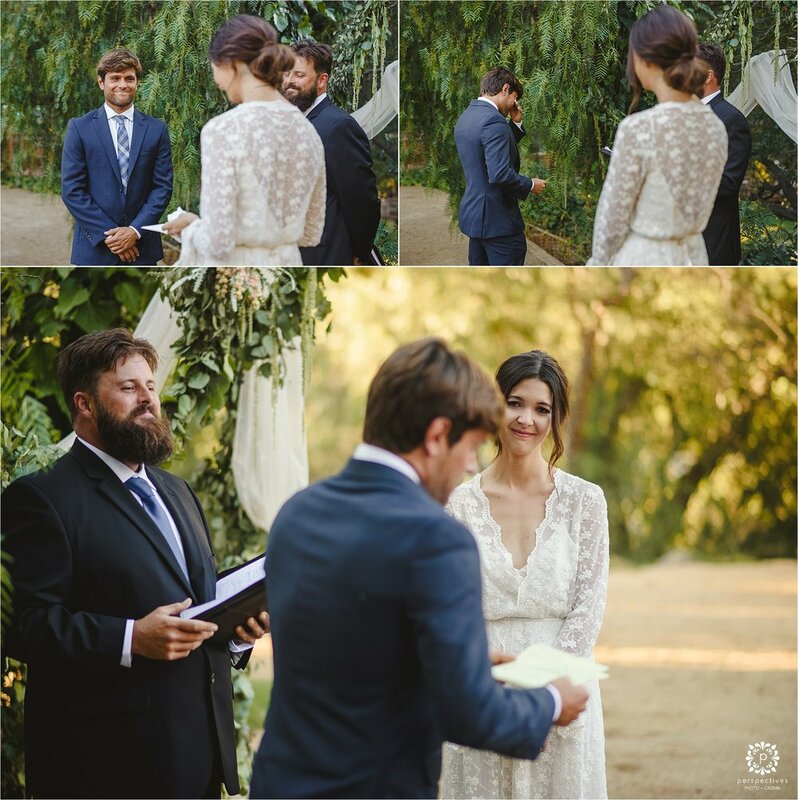 Our celebrant, Dillon's cousin Jacob, came to tell us that the ceremony was starting and we made our way thorough the trees and boardwalks that cover the ground of Calamigos Guest Ranch. Mum held my hand the whole way and I made her point things out to me as we got closer to the crowd because I was so nervous. So as we walked into the crowd we were laughing at the tree tops and the railing for no apparent reason. But once we got to the front and I saw Dillon waiting for me, I started to feel calm again. And then I actually started to notice my surroundings and how beautiful the area was. We were trying to keep the whole day really low key and so I asked the hotel if we could get married on this dirt plot that was right near the reception. They were slightly skeptical but agreed because the space wasn't exactly being used for anything and we promised to spend extra on the bar if they'd let us. But what I didn't know before walking down the aisle was how beautiful my good friend Lorna was going to make it look. 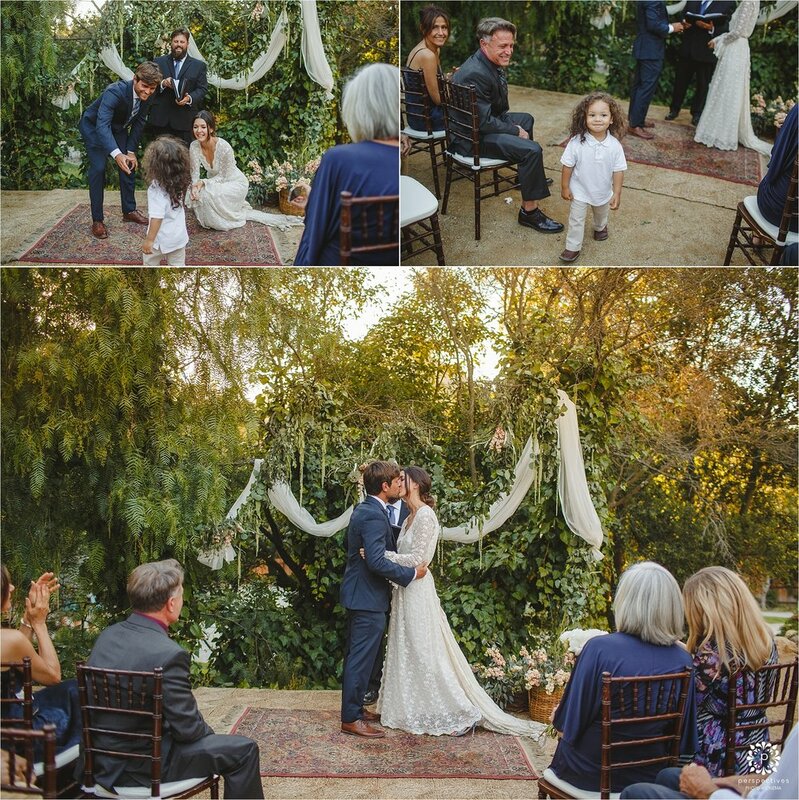 She is in the business of event planning and her mother-in-law is an interior designer, and together they had transformed the dirt plot into the sweetest little ceremony spot. Aside from a few rows of chairs, we kept everyone standing because we knew the ceremony would be short and we wanted to feel like we were surrounded by loved one's rather than performing a show which neither of us were particularly comfortable with. The ceremony was beautiful and we were both dying with laughter and drowning with tears at different parts. Dillon's best friend Brendon Gibbens made a speech that had everyone in stitched and my cousin Queree read the Desiderata. Dillon's uncle Steve, of Oingo Boingo, played for me as a I walked down the aisle and cousin Jacob celebrated over the whole thing with a true calmness that not many people could achieve having only met the bride two days earlier and having only managed to tie her down for two seconds to help write the ceremony. 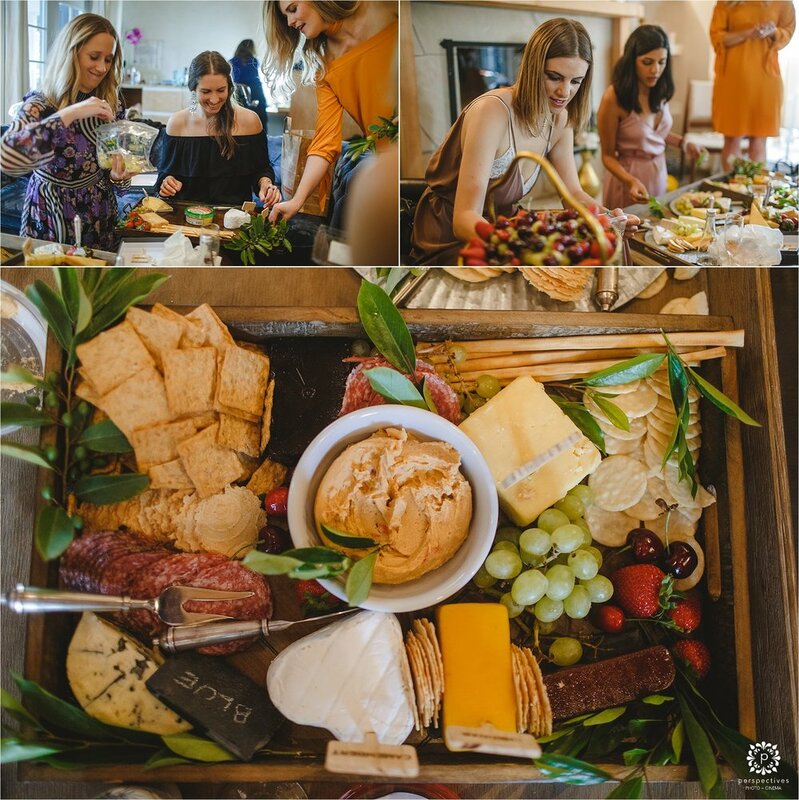 There was no rehearsal so there were plenty of hiccups (including forgetting to take our rings out of their sale's box and to sign the registry) but that added to the flavor of it all. After the ceremony we took some group photos and then dipped of for about 30 minutes to take some photos in the canyon together. Perspectives are literally the most talented photographers that I know and I had the pleasure of working with them for six years in my youth and they've helped to shape who I am today. And they just keep getting better, because the photos they took in that quick session were absolutely amazing. We headed back to the reception before the sun went down and were greeted with tequila shots which were completely unnecessary but because someone decided to invite Rachel Adams, they had become the theme of our weekend because she was only in town for three days and she wanted to make the most of it. But it definitely got the party started. 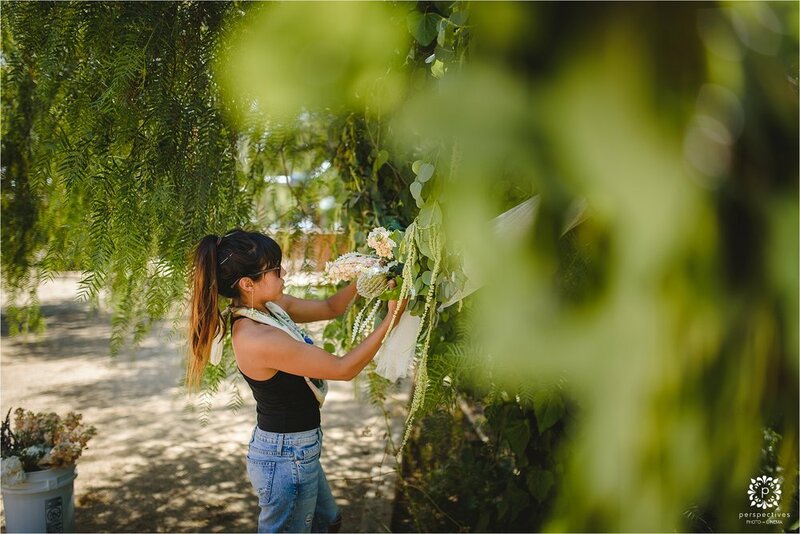 Calamigos have a surplus of wedding venues, sometimes hosting up to 5 a day, but because we had decided to plan our wedding in three short weeks in the middle of summer, most venues were booked up. It worked out for the best though because I was absolutely in love with the hotel lobby and although they didn't usually rent it out for weddings, they made an exception. So there was finger food and all sorts of cheese that I had requested the NZ contingent bring over in their bags, and a dozen desserts courtesy of Dillon's cousin Cora, mother Karen, and my oldest friend Chelsea. It was more of a cocktail party so most of the crowd fizzled out after the speeches, but there was a small crew that stayed into the wee hours and made the most of the open bar (thank you father-in-law) ordering to-shelf tequila and all manner of cocktails. The next day I woke in the gorgeous Calamigos bungalow and made my way to the lobby for breakfast where a couple other people from the wedding were waiting to check out. My mum and two friends turned up in my rusty old Chevy truck to help us load up and we headed back to Malibu ready for a day of unwrapping presents and preparing for the Bachelorette party because we are from New Zealand and we do everything back to front.